Get great value and quick shipping on this multipurpose logo tote! Comfortable, easy-care 4-oz cotton fabric makes this bag perfect for running errands or toting trade show materials. The reusable cotton material will be a favorite takeaway from conventions and events. 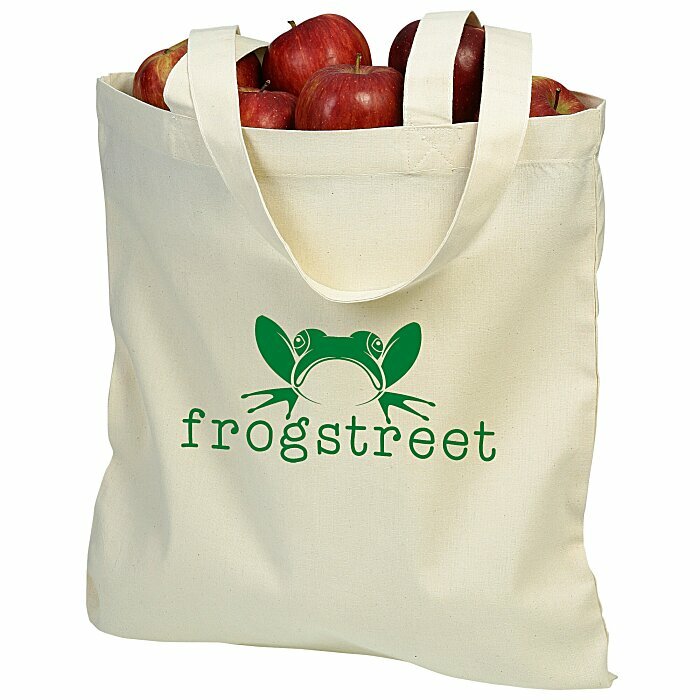 Your price includes a one-color imprint on the front of the promotional bag. Special 24-hour service applies to production time only -- please allow additional time for your choice of delivery options.